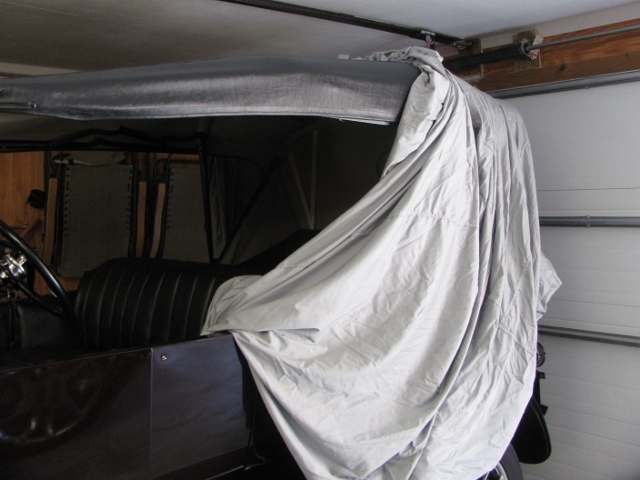 I'm considering one of the polyester/cotton car covers listed in the 2014 Lang's catalog for my '23 Touring. It never sits outside, so I'm just looking for some basic dust and accidental contact protection while it's sitting in the garage. Does anyone have any pictures of this particular cover on their car or feedback on the quality? I'm also curious about the fit with the top up versus the top down. Any info is appreciated. You may want to also consider this one from Amazon for 50 bucks. Works great indoors. I also use it on tours. I have had good luck with them although I must admit during the summer months I don't use them because the car is on the road all the time! I have the Lang's version, Polyester/cotton, made by someone, sold by Lang's and dropped shipped. Really like the lightweight, easy to flip over the car and pull on. Does the duty to keep off dust which sure collects fast in the garage. The cover is on the aftermarket bodied T, so ordered the one for 17-27 touring, and the size came out fine. On thing I do is removed the hard plastic grommets for the under car tie downs, these grommets will scratch the paint, and don't need tie downs on a cover in the garage! Removed the hard plastic grommets. 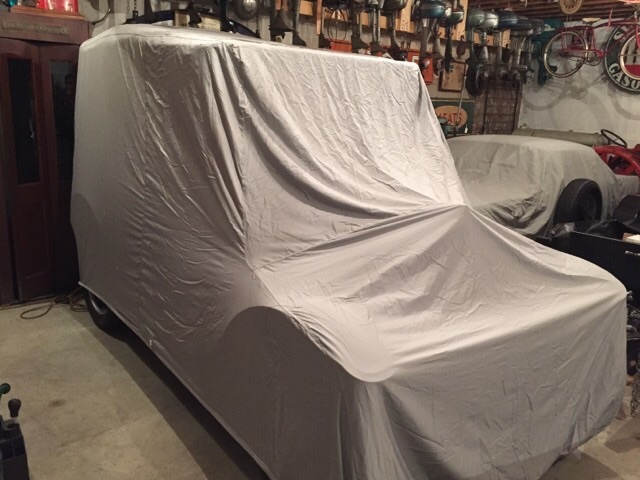 I picked up a cheap car cover from a big box store several years ago. 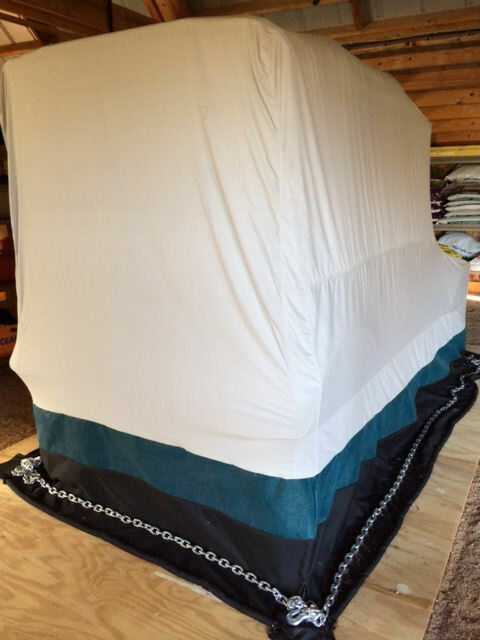 It is an indoor cover not ment to be weather proof just dust and dirt proof. It works well. It is not custom cut so its baggie but it keeps the dust and dirt off during storage. It is a soft cotton inside with a heavier metallic type material outside, something like a space blanket. The ties are a soft cotton thread so it doesn't scratch the car. 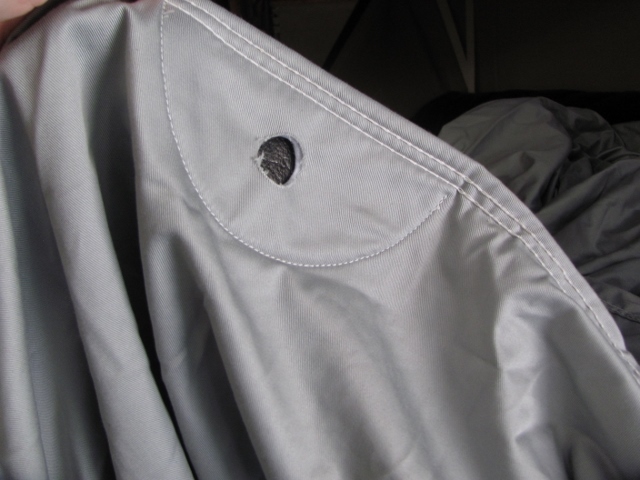 If you do get a cover be careful that they don't have metal grommets for tie downs. If I remember (that's dangerous) it was only about $40. Strong but very thin/light/soft, will not scratch, very breathable and completely waterproof. Thank you Dan! Exactly what I was hoping to see. Thanks to all others as well. I've always use California car covers until recently. I just bought one of Langs, and am happy for $200 less! It doesn't fit as good, but so what, it does fit, and it works. Dons sister makes excellent brass light covers too. My car is stored in a garage that is not mouse proof. Here is my attempt at a mouse proof polyester/cotton Lang's cover. I added a skirt around the bottom of the cover (with a vented mesh section for a little ventilation) that reaches the floor. Then to seal the bottom, I lay a chain around the bottom flap. So far this has worked, but I know they could chew their way in if they wanted to, but it seems to work good. I just leave the cars uncovered and let them get dusty. I also use lots of dryer sheets in areas where the rodents might like to nest like top boot covers, spare tire casings etc. A little dust never hurt anything! I buy the ready made small 4wd covers from any parts house. The boxy shape suits most Ts other than roadsters/coupes. They are often on special. 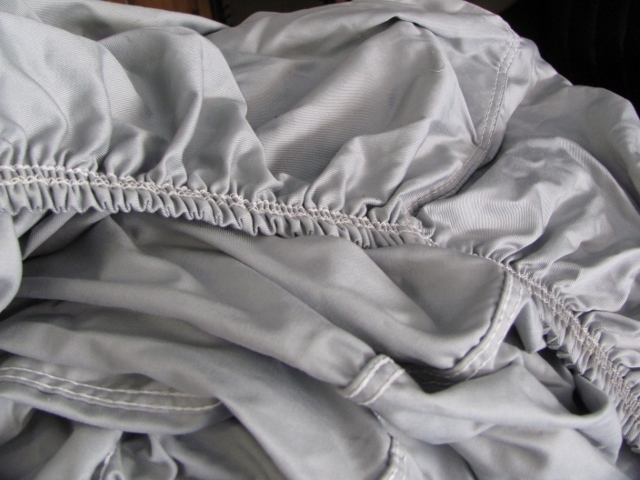 I finally pulled the trigger on purchasing the polyester/cotton cover from Lang's. Thought I would post a picture here for future searchers on the topic. It is covering a stock '23 Touring. As you can see, the fit is perfect and the quality is very good for basic indoor protection. 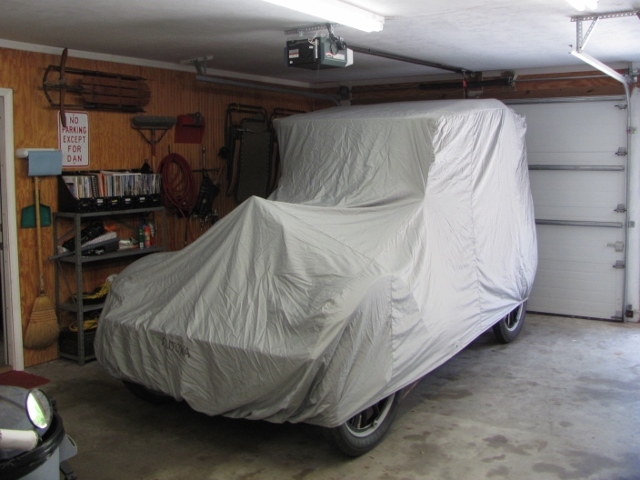 To me, a car cover is less about keeping dust off of a car and more so about idiot proofing it. It takes brushing up against it with something in your hand only one time to pay for itself. I'm like Jack Putnam...I use bedsheets except for the one Budge that did come with the '20. But it's on the Model A out in the barn up on the rack for the winter. 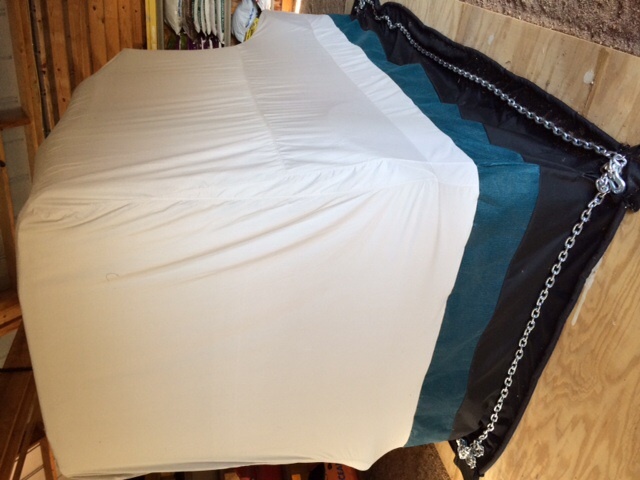 The '15's out in Jacks former enclosed trailer, so pretty dustproof there, so I don't cover it. I used to use Langs during the winter but then found that I was constantly taking it off to do some kind of maintenance. Now I just use it if for some odd reason the Touring car needs to be parked outside during the night.